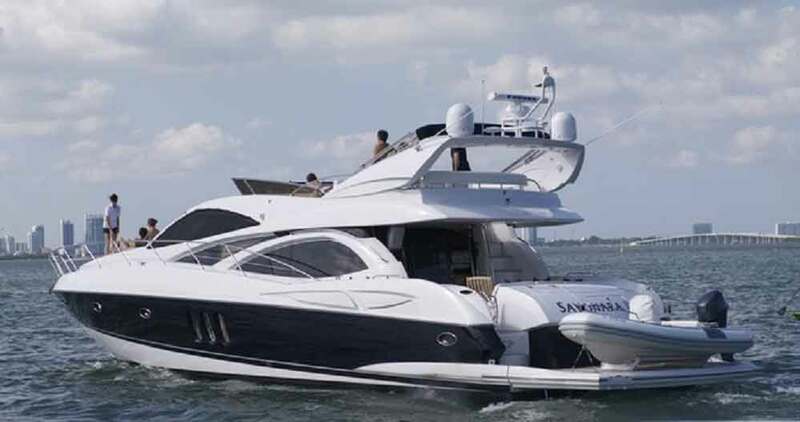 Boat Name: Luxurious 72' Sunseeker ! Sleek and gorgeous our 72’ Sunseeker Manhattan is 24 yards of power luxury. Whether exploring Biscayne Bay or the Key Islands, this beauty features a Master, VIP, guest bedroom suites. 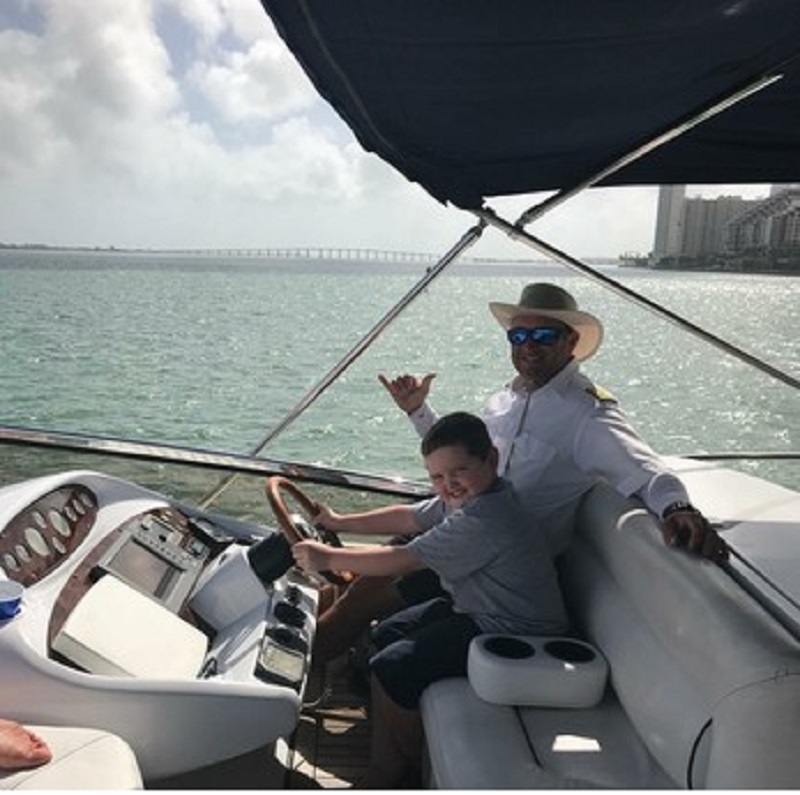 Perfect for a day trip with up to 12 people, or comfortably cruise with six on overnight trips or weekly rentals for Bahama cruises. The 72’ Sunseeker Manhattan features exceptionally beautiful exterior styling. The interior is elegant and spacious. 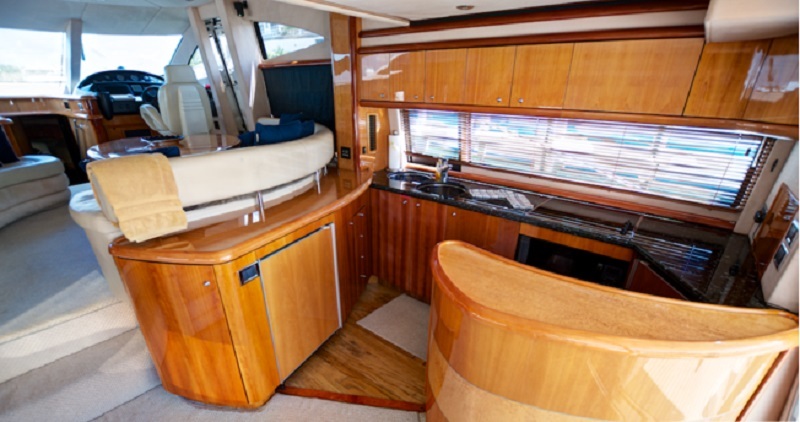 This particular Sunseeker Manhattan has wonderful wood work that gives off a warm glow throughout the cabin. The 72’ Sunseeker Manhattan has three staterooms. The master stateroom is located in the center of the lower deck and features a large double berth, flatscreen TV, plenty of storage, and ensuite head with shower. The VIP stateroom is located in the forward section of the lower deck and features a double berth, lots of storage, a flatscreen TV, and an ensuite head with shower. The guest suite is located on the lower deck between the master and VIP staterooms. It features twin berths, storage closets, flatscreen TVs, and access to the guest/day head with shower. On the main deck you will find a large fully equipped galley, large dining area with plenty of seating, and a very spacious and open salon with flatscreen TV and entertainment system. The flybridge is spacious and offers comfortable seating for passengers. The aft deck is perfectly suited to al fresco dining or entertaining guests.